Pune : Four students of Bharati Vidyapeeth(Deemed to be University) College of Engineering, (BV(DU)COE) Pune, selected for “Research Internship” at IIT Mumbai.Dr Anand Bhalerao Principal and Dean of BharatiVidyapeeth ( Deemed to be University) College of Engineering, Pune,informed through a press release. Mr Gaurav Goyal of B. Tech(Civil), Mr Adarsh Kumar of B. Tech (Electrical), Mr Sunath Khadikar of B. Tech( IT )and Ms Shruti Mane of M. Tech (Civil) of BV(DU) COE, Pune were selected for Research Internship after a rigorous process of selection.The selected students have to carry out their proposed research work starting from the December 2018 to June 2019. They will be paid a stipend of INR 10000 per month by IITB for this internship. He was speaking on the occasion of felicitation of students of Bharati Vidyapeeth(Deemed to be University) College of Engineering, (BV(DU)COE) Pune, selected for “Research Internship” at IIT Mumbai. IITB Research Internship Award is designed as an educational and professional research experience. These awards are available for specific research projects. The details of these projects are made available to the candidates so that they can apply for projects of their interest and can prepare well for a rigorous selection procedure. The number of interns will be restricted to the number of projects available. The selected interns are required to work full time for four to six months on the project and will be given a fixed stipend. Further he said Education and research are the twin pillars of Technical education and the ambience is one in which new ideas and creativity can flourish. Hence opportunity for students to work on research Internship at institute of national importance such as IITB is great achievement. 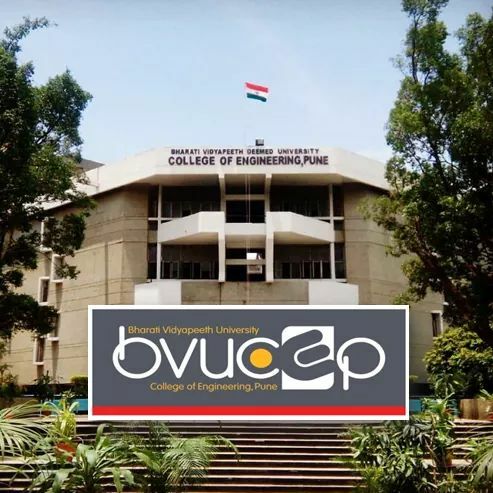 A key goal of the BV(DU)COE, Pune is to provide a creative atmosphere in which higher studies and research thrive amongst the students and the faculty. IIT Bombay’s commitment to merging education with the creation of knowledge provides a fertile ground for productive research that has led to a range of scientific and technological achievements. ` We feel that the main ingredient for successful R & D is enthusiastic young minds. It is from this view point that IIT Bombay has introduced the Research Internship Awards to engage bright external students on it challenging research projects. research Mr Adarsh aims to assess the impacts of rural electrification on the socio-economic parameters in the selected villages (preferable in Maharashtra and/or Karnataka) and hence develop a framework to model and analyze the electricity access-livelihood-development as a system with all the linkages, where the effect of electricity variables could be captured. This will help us to understand the impact of electricity access and the need for the energy-plus approach in policy formulation. Ms Shruti Mane has been selected to carry her research on ‘Assessment of efficiency of array of wave energy converters using MIKE21 BW model’ under the guidance of Prof Manasa Behera of Dept of Civil Engineering at IITB.. Her research proposes to carry out numerical model study to assess efficiency of array of wave energy converters (WECs) located at a site on the West Coast of India using a numerical model MIKE21 BW. The BW model will be then used to simulate the wave penetration in the array of WECs with the actual bathymetry at the site for different alternatives and wave conditions. From the results, she intends to estimate the potential of wave energy based on ratios of incident wave height to penetrated wave height as well as efficiency of array of WECs. The research work of Mr Sunath Khadikar deals with knowledge of Data analysis using SPSS tools and Design of Experiments for cognitive science and psychology. He will be guided by Prof Rashmi Gupta in Department of Humanities and Social Sciences at IITB. In his study Sunath aims is to examine the interaction between emotion, perception, and attention and focuses to study the relationship between emotion and global-local perceptual processing using data analysis techniques.